While no stranger to the international melodic hard rock and metal universe, I can't recall vocalist Carsten Lizard Schulz every cutting a solo album. There's Domain, Evidence One, Midnite Club among many other bands where he has held the microphone. Under the moniker of The Carsten Lizard Schulz Syndicate, here's The Day The Earth Stopped Turning. From the start this is an immense work. As the name, syndicate, implies Schulz involves a host of, like 32, international musicians to create his music. Additionally, the album consists of 16 songs over two CDS for better than 83 minutes. Wow. I guess if you're going to make your first solo album in a 20 year music career, you might as well go full tilt gonzo. As for Schulz, his voice is in fine form. He's got that quizzical combination of grit and gravel, melody and harmony, passion and soul to his vocal style. I'll admit that I tire sometimes of his owl-like screech. But for one of today's top hard rock and metal vocalist, he's hard to top. 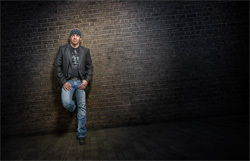 He's also a promising song writer, creating catchy, groove-leaden, metal-edged, melodic hard rock that smack of Seventies to late Eighties hard rock. While it's mammoth task to approach every song, several songs are of interest because of the underlying vibe, a soulful even bluesy feeling. These include Black Water Soul, Soulburn, Man In Flames, Nothing Left To Give, and Song Like Rain. Then there's The Teacher that reminds of Southern boogie rock. Two other comments of interest. As much as this is a platform for Schulz's vocals, this album is most definitely a guitar-centered recording as well. The guitars, from riffs to leads are sharp and defined. Also, you'll catch a fine twist of keyboards across the album, notably some good old school Hammond that will drift you back to the Seventies. Thinking of all these things, any singer would have been lucky to have this combination of great songs and terrific musicians. 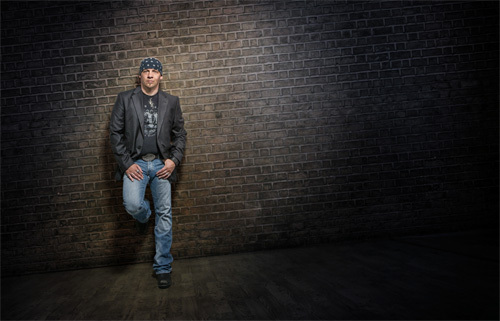 For Schulz, it's a command performance, living and engaging melodic hard rock and metal from a master vocalist. Recommended. 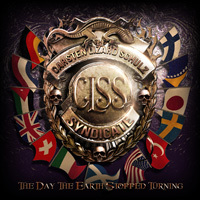 For Carsten Lizard Schulz, The Day The Earth Stopped Turning is a command performance, living and engaging melodic hard rock and metal from a master vocalist. Recommended.